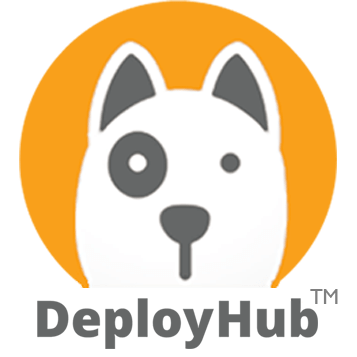 DeployHub understands that there is a DevOps tools disconnect in the area of continuous deployment. This is due in large part to the cost of purchasing agent-based ‘application release automation’ tooling. DeployHub Pro is priced affordably, based upon ‘application’ usage, not agent usage. And, DeployHub is agentless. Continuous delivery tools, particularly agent based software deployment solutions, are simply overpriced. Production teams have traditionally turned to usual suspects like IBM and CA for solutions to DevOps challenges. Often, these “top-down” decisions fall short of ballyhooed ROI used to justify the investment in the first place. Sound familiar? Most noteworthy, much of the cost of traditional deployment is driven by the number of endpoints a data center may have. Each endpoint needs an agent, so the pricing is ‘agent’-based. Get started with DeployHub OSS. An open source version of DeployHub is available at DeployHub.org. Application packaging, deployment version control, roll-forward and rollback are all features available in the Open Source (OSS) version. The application package is be pushed or pulled through the continuous delivery pipeline, adapting deployments to the testing and production environments along the way. So, get DeployHub and start deploying at a fraction of the cost?